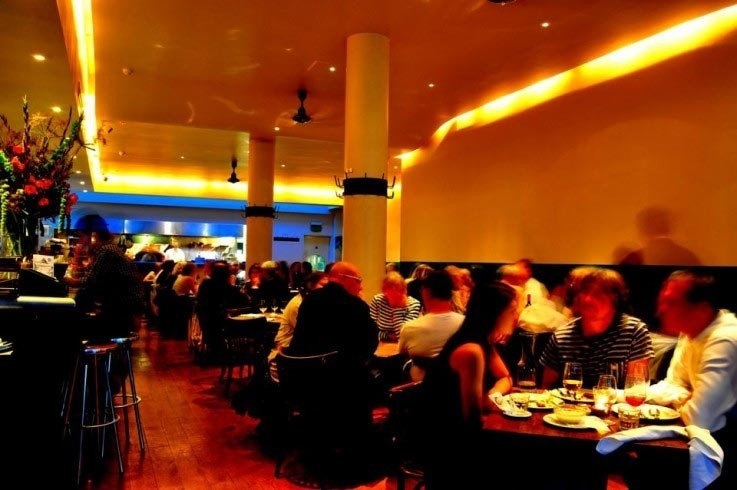 Back in 1997 when Moro first opened, Exmouth Market was still a scruffy Clerkenwell street and this restaurant with its implausibly good looking bar staff and open kitchen was the second most exciting thing to happen to the area food-wise since The Eagle threw open its doors. Run by the marvellously-monikered Sam and Sam Clark, it's still turning out great food in a room that's packed every day of the week. Grab a glass of sherry up at the bar, or nab one of the more sought-after window tables and enjoy a lazy, boozy afternoon here.